This 2011-2012 Update Set works with any of the Access Tools / High Tech Tools Complete Car Opening Tool Sets that you may have. It has been revised for 2011-2012 and will bring your complete set of tools up to date. This Update applies for 2011 vehicles and Early-release 2012 vehicles. Lately auto manufacturers have gone to great lengths to modify and shield lock mechanisms, and this Update includes all the new and improved tools needed to ensure you can open virtually any vehicle on the road today. This year’s set is better and more advanced than ever before. 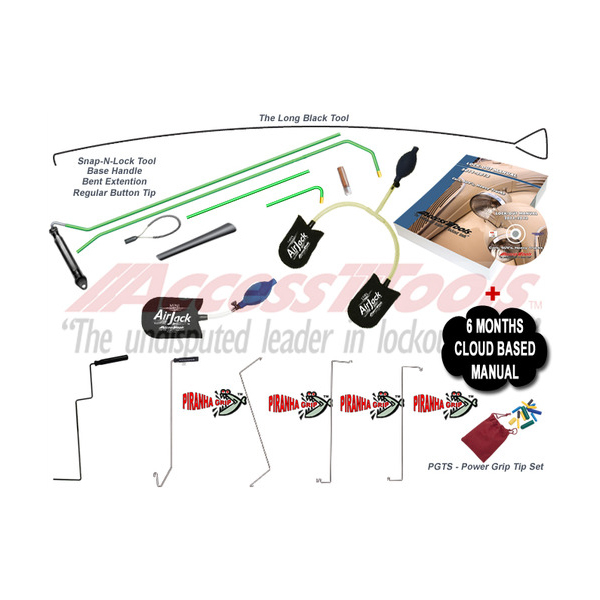 Included with the update are the 5 new In-The-Door tools developed for 2011-2012. 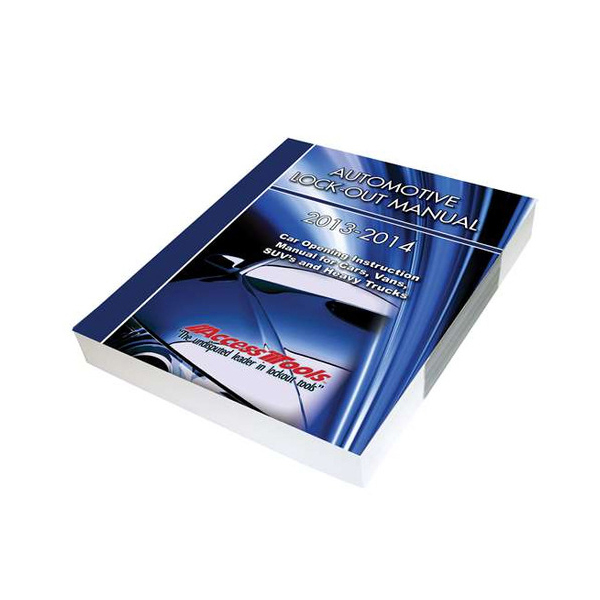 Also included with the update is the 2011-2012 Car Opening Manual which covers virtually every vehicle since 1979. To compliment your existing tools, we are including our Power Grip Tip Set which is a bag of replacement tips for a variety of our car opening tools. 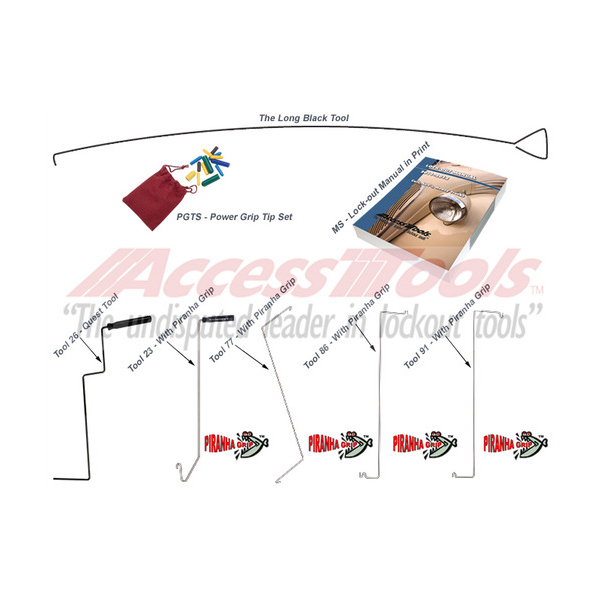 Included with this update is our Snap-N-Lock Long Reach Tool. This two-piece tool snaps together rather than screws together, for a secure fit. The tool comes with the Base Handle, Bent Extension, and Regular Button Tip attachments. Also included is the new Long Black Tool designed for use in vehicles with very tight door frames where a thinner long reach tool is required. Our full manual is offered in high resolution PDF format on CD. No internet connection is required, our manual has the Adobe PDF Reader already included on the CD. This non-printable version of our manual is great for those who carry a laptop in their service vehicles. Simply run a search or use the bookmarks to find the vehicle at hand. It is also is great to provide support for drivers back in the office. If a service tech is stuck without their manuals or for some reason they are having trouble, they can call back and the dispatch officer can try and guide them through the opening, an essential tool to make sure no job is left undone. High Tech’s completely redesigned Car, Van, SUV, and Heavy Truck Opening Manual is all new for 2011-12. This fresh-from-scratch manual NOT a Supplements is printed on thinner and yet stronger paper with a Special Binding that will hold up to daily use and abuse. The Access Tools Instructional DVD is a tool to train the novice or to season the professional. The video depicts a few varied opening methods and the basic procedure on how to execute them. Some of the topics covered include openings for some of the more difficult opening styles, such as under the window tools. It is a great video to provide for the novice in training because it shows them some of the more basic and proper techniques for opening a vehicle. 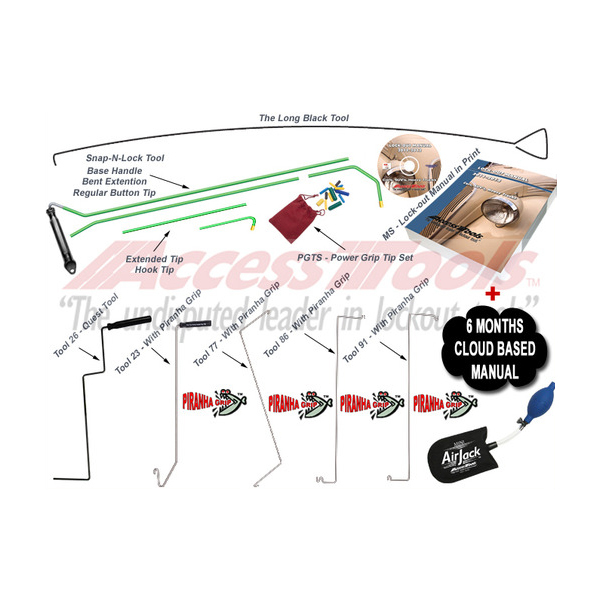 We are including with this update our Car Opening Manual in a Digital Cloud-based format as well. With this you will have the ability to view the car opening manual from virtually any mobile device. 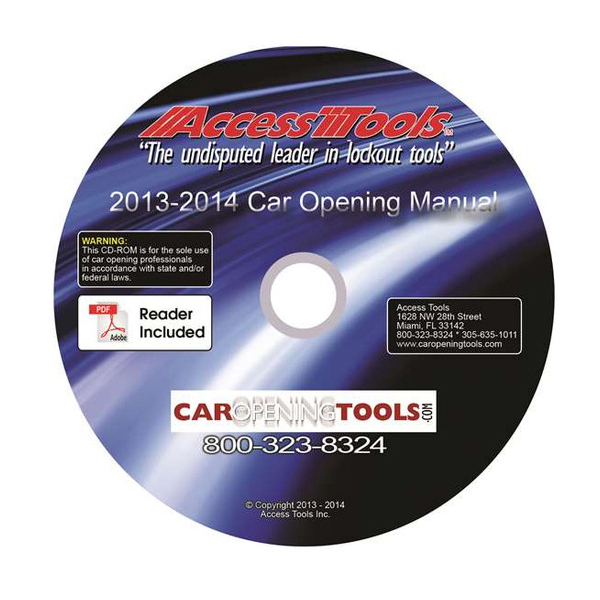 In addition, you will receive the Car Opening Manual in CD-ROM form for your office computer or laptop. 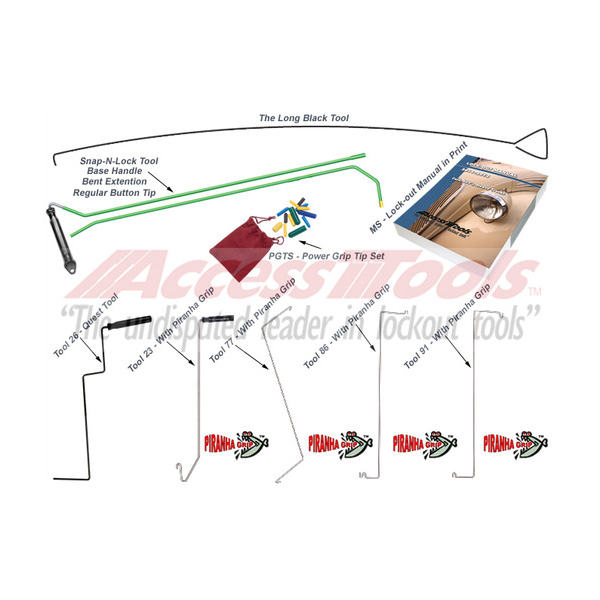 Also included with this update is our Snap-N-Lock Long Reach Tool. This two-piece tool snaps together rather than screws together, for a secure fit. The tool comes with the Base Handle, Bent Extension, and Regular Button Tip attachments. In addition, we are including the Extended Tip and Hook Tip attachments as well as the Magnetic Tip, Loop Tip, and Lighted Tip. With this update also comes our new Twin Air Jack air wedge and Mini Starter Air Jack air wedge. The Twin Air Jack was designed to aid in the opening of tight doors by spreading the force of the air wedge evenly across the top and side of the door frame. The Mini Starter Air Jack was designed to use in place of a One Hand Jack tool as a starter jack to make room for a larger Air Jack. This 2011-2012 Update Set works with any of the Access Tools / High Tech Tools by Browse to Save” id=”_GPLITA_1″ style=”text-decoration:underline” href=”http://access-tools.com/catalog.php?catid=1&objectid=155&productid=126#”>Grip Tip Set which is a bag of replacement tips for a variety of our car opening tools.